Are you enjoying the free printable fun from Carla of Preschool Powol Packets? She always has such creative ideas and printables, doesn’t she? 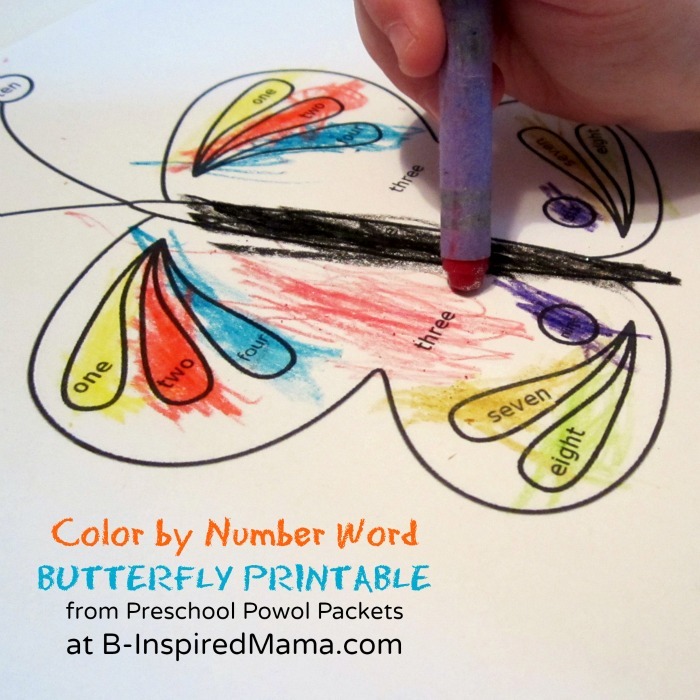 A Free Color By Number Words Butterfly Printable! 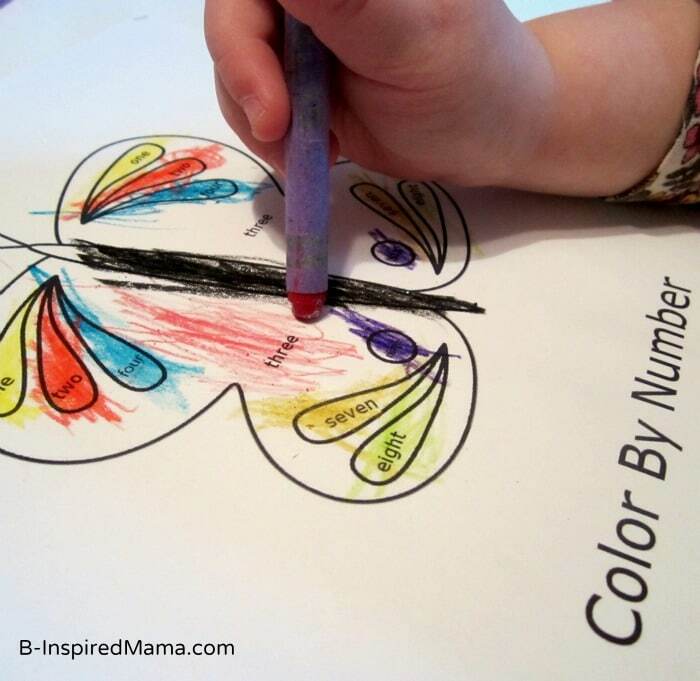 This butterfly-themed coloring page allows the child to practice their number sight words while coloring! Plus, it has number-to-number word correspondence, too. The butterfly image in the Printable comes from www.mycutegraphics.com. I love how this number words printable can be adjusted to different age levels and abilities. Since Priscilla doesn’t know her color words or number words yet, I colored the corresponding color over each color word and then wrote the number word next to each number in the little key at the bottom. So she could look at the number right next to the number word and then find it up in the butterfly. She was doing pretty good. And the coloring was great fine motor practice for her, too. But since my Sawyer is in first grade, it will be a great for him as is to review his color words and number words. Do your kids know their number words? If so, how did they learn them? Like this Number Words Printable? Pin It and Share It! This post has affiliate links. Please see my disclosure policy.